Who would turn down the ability to obtain money whenever they need to? Credit cards have been around in people’s financial plans for a very long time. In addition to the instant cash it can provide, credit cards make it easier to avail some paid services. It also allows the cardholder to carry less cash when going out while rewarding them for accumulating points. However, credit cards have earned a bad reputation from a lot of websites that focus on money management and savings. True, regular credit cards are risky and can jeopardize your financial plans. The flexibility and freedom can also make it difficult for you to stick to a budget. Undoubtedly, credit cards can be risky. Depending on the holder, a credit card can help them obtain what they need quickly, or drown them in financial burden with high interest. With a secured credit card, the cash you obtain is backed by collateral which is provided when you open the account. This will be your “safety net” in case you fail to pay your bill. The amount you put into your account also dictates your credit limit. This can go from 80% to 100% of your total deposit. For example, if you deposited P30,000, then your credit limit will be sitting at P24,000 to P30,000. For a BPI credit card, the minimum deposit is as low as P10,000 with the option of being converted to a regular credit card in 12 months. Obtaining regular credit cards can be a lot of hassle. In addition to all the documents, regular employment, and credit history requirements, there is the possibility of being rejected. Thankfully, secured credit cards have a 100% approval rate as long as you provide the necessary requirements for the particular bank! This can help you get started without history or if you want to fix a bad credit history. Yes, secured credit card options offer an interest for your pledged amount. This makes it one of the most reasonable investments to have by encouraging you to save more. And remember that the more money you invest, the faster it grows and the bigger your credit limit gets. Secured credit card holders are also eligible for rewards and other perks. Of course, this depends on the company. Furthermore, most of them offer an upgrade option after a specific timeframe. For example, you can upgrade after 12 months with a Metrobank credit card. Last but definitely not least, secured credit cards allow you to experience managing your finances better without the risk of being buried in debt. Remember that credit cards can also be used as tools to grab life opportunities that require an investment. With a secured credit card, you can safely take more of these opportunities in a much safer way. All in all, you can never go wrong with secured credit cards. You can save your money, take advantage of more opportunities, and live life more without worrying about paying more later on. The next step is to start comparing credit cards to find out what suit you best. 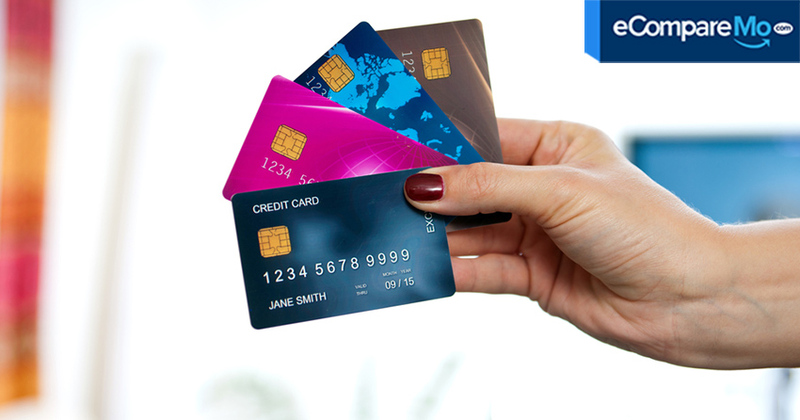 Is a Metrobank, BPI, or BDO credit card suitable for you? Only you can find out! eCompareMo provide a complete online comparison portal for Filipinos looking for quick, secure, and complete banking and insurance information in the Philippines. We help Filipinos make informed decisions when it comes on choosing the best credit card, loans, health insurance and more for free!